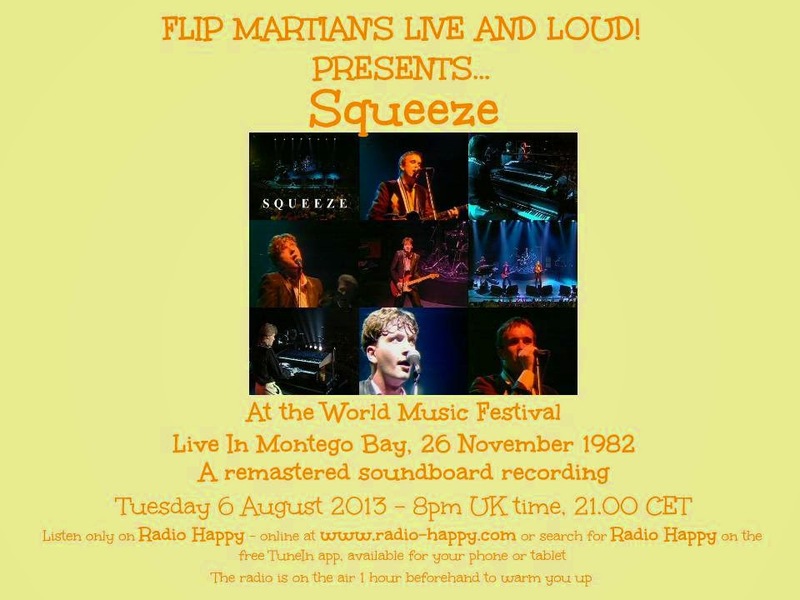 Squeeze make their debut on Live and Loud! with this set from an annual festival held in Jamaica. They appeared on the same bill on this night as Aretha Franklin and...The Beach Boys, believe it or not. Featuring a set including hits and a couple of interesting covers, Squeeze show what a good live band they were. This is a soundboard recording which has responded really well to polishing and sounds fantastic. Hope you enjoy! Thanks for the work in bringing us this fine show from a fine band. I recall seeing them around this time, although sadly not in Jamaica!